Who Wants Extra Cash This Christmas?! We’re excited to announce our newest promotion that rewards you simply for growing your Customer base*. Excited? So are we! How does a cash bonus for the festive season sound? Whether it’s to help keep the kids entertained during the school holidays or paying off the Christmas credit card, a little extra cash is sure to go a long way this time of year. During the qualification period, personally enrol three or more new Customers with an initial order of 150 BV+ and earn cash bonuses! The more qualifying Customers you enrol during the qualification period, the more cash you earn – simple! Remember, these cash bonuses are in ADDITION to existing Product Introduction Bonuses (PIBs) and your Cycle income so you can really maximise the compensation plan and earn BIG! 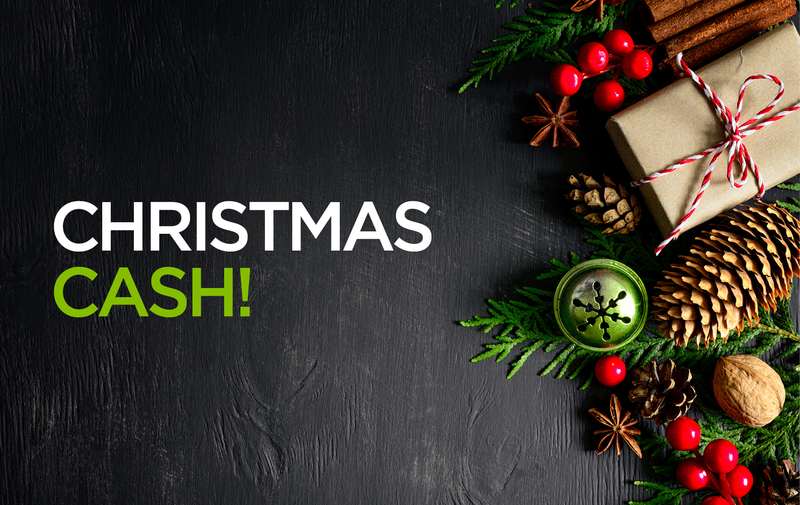 So, it’s time to take advantage and earn these Christmas Cash bonuses, simply by sharing the gift of health and wellness with those you care about. Want to know more? View the flyer here. * Open to UK, Ireland, Netherlands, Spain and Belgium Associates only.